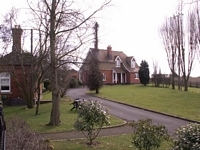 Wilmcote is probably best known as the home of Shakespeare's mother, Mary Arden, whose house is a short distance from the station. 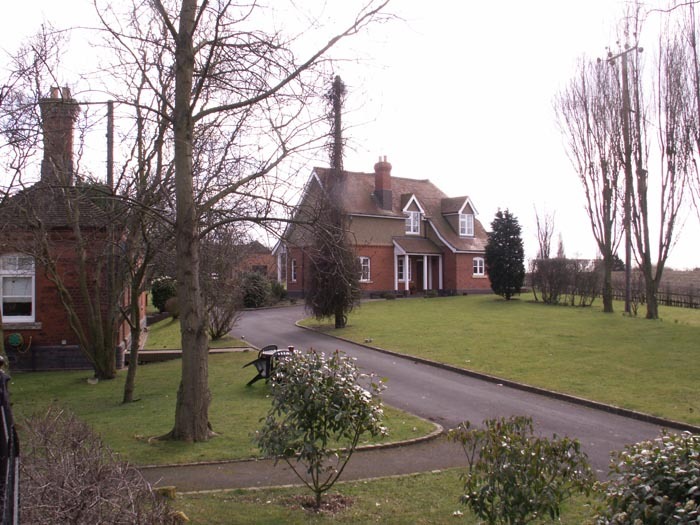 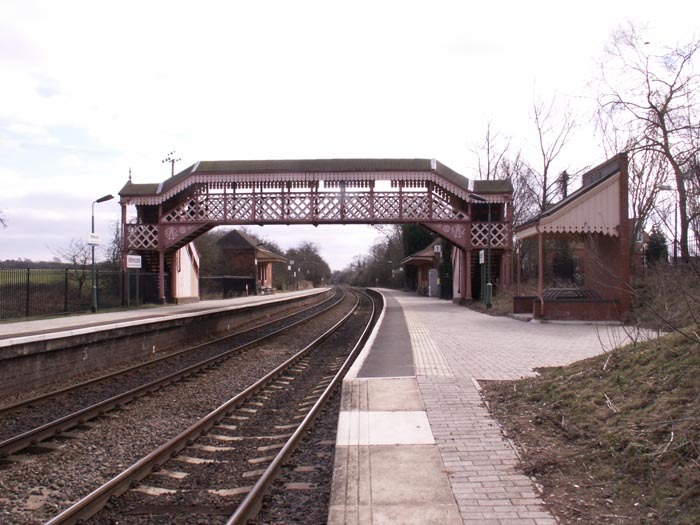 This second incarnation of the station, the first being the other side of Station Road opened under the paternal guidance of the GWR by the Stratford upon Avon Railway, opened under the GWR in 1907 in preparation for the opening of the North Warwickshire Line and is a fine example of a rural GWR station and, apart from the loss of its goods facilities (for which the original station was used post-closure) in 1963, has remained largely in tact throughout its history. 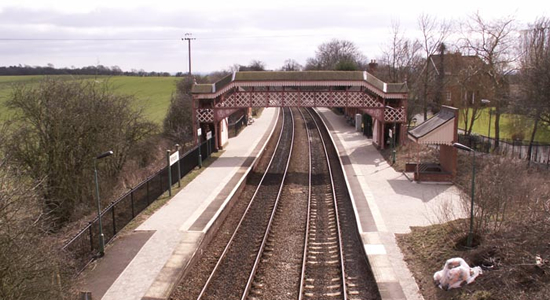 Above we are viewing the station from Station Road looking South towards Stratford. 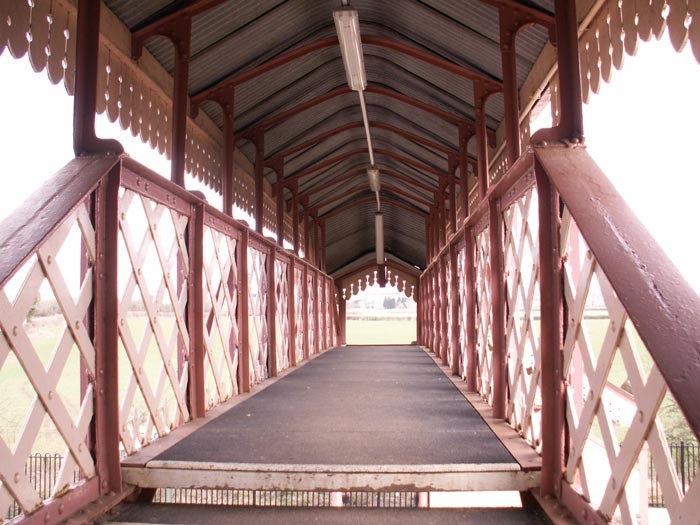 The first thing to hit you as you approach the site is the very ornate footbridge with its lattice-work sides that appears untouched, apart from the odd coat of paint, since its construction. 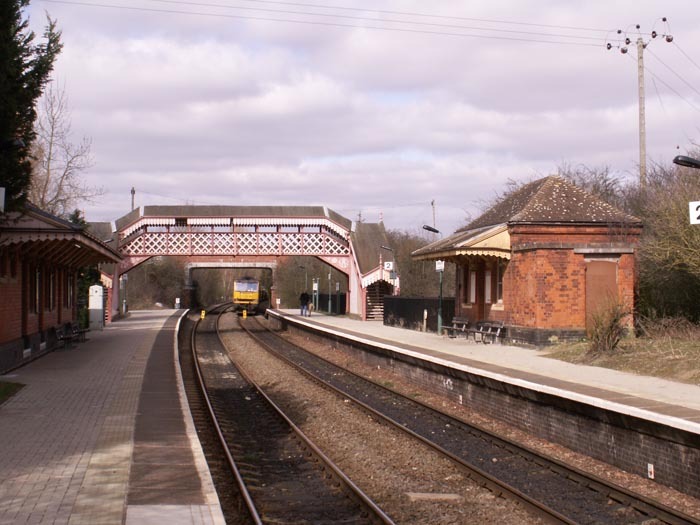 Above-left we are standing on the Birmingham platform looking across to the Stationmaster's house which is now a private dwelling and to the left of the shot can just be seen the end of the platform building. Above-right we have walked to the North end of the Birmingham platform and are viewing the site looking in the direction of Stratford. This is a great 'period piece' and one could almost expect to hear the whistle of a steam engine in the distance! 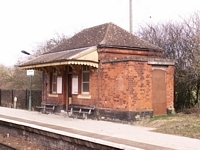 One unique feature here, unlike many such stations today, is that it has retained both platform buildings. 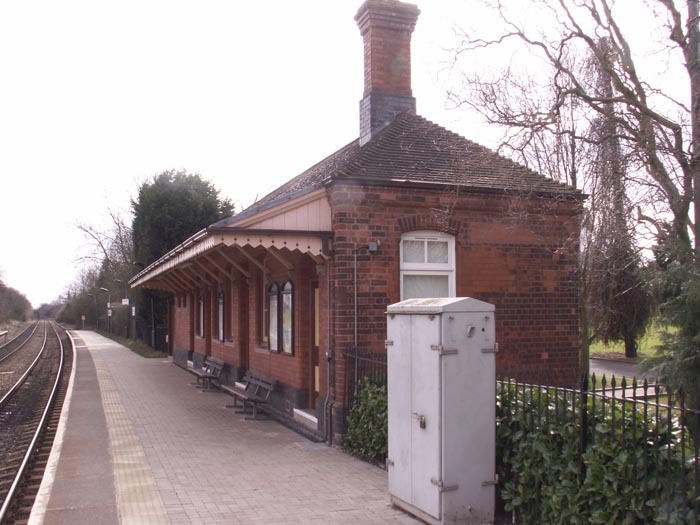 Above-left we take a good luck at the well-maintained Birmingham platform waiting room and booking office. 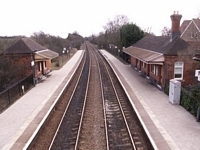 The station is immaculately maintained with not a scrap of litter in sight and the footbridge freshly smelling of disinfectant which is a credit to whoever is charged with the station's upkeep: however, on my visit the sttion appeard to be unstaffed. Above-right we see the Stratford platform waiting room still in use and in great condition with the only discernible change from its original state being the closing of it's toilet facilities nearest the camera. Above-left we see the station from its Southern end looking towards Birmingham with the Strtatford line blocked ahead by a deserted train carrying sections of track. 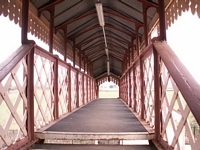 Above-right we are taking a look inside the footbridge to appreciate the intricacy of its lattice-work sides as we prepare to cross to the Stratford platform. Above-right we are again on the footbridge but this time looking at the station in the direction of Stratford. Above-rigt we are back on Station Road with the station to our rear and the aforementioned track train stretching off into the distance. 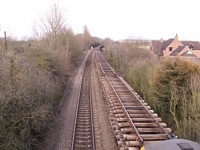 The station's goods siding(s), which were formed from the original Wilmcote station site here, were originally sited to the left of this shot but were closed, along with many others on the line, in 1963: no trace appears to remain today although the undergrowth prevented a in-depth search for remains.